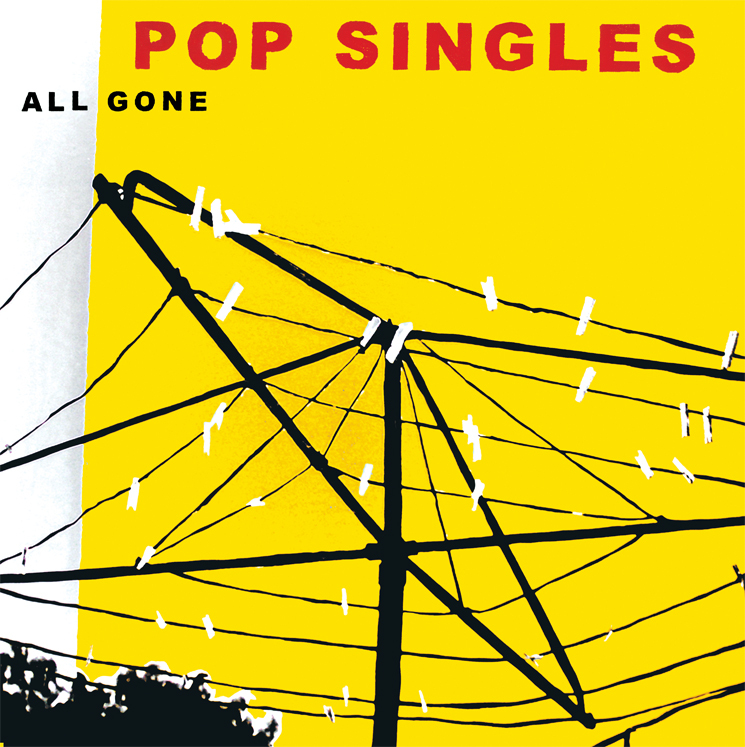 The cover of All Gone alludes to a well-established Australian-ness. There’s a silhouette of a Hills Hoist with a few dozen pegs attached to it, and a shrub at the bottom. The yellow-black-red colour scheme looks like it accompanies a Text Classic, the recent book range that repackages popular and prominent works of the Australian literary canon. You’ll hear references to The Go-Betweens, The Church and The Triffids in Pop Singles’ take on melody-driven guitar pop. All signs point to an over-indulgence of Australiana, but it merely acts as a backdrop for something far more universal. There’s an ordinariness to All Gone that transcends the current slacker-pop condition of relishing in the mundane. Tam Matlawkowski skips over lethargic one-and-all symbolism and instead sings about people and human relationships. It’s a conversational record by a steady, assured voice. It doesn’t use geography or insider references as a stylistic crutch, and there’s no reason this album couldn’t have come from a Perth or Hobart trio rather than a Melbourne one. Side B standout ‘The Greatest Feeling’ follows this theme of hope/lessness in its tracking of an ambiguous relationship. “Why won’t you just / admit a thing or two / admit defeat when it’s due, ” it opens against squalling guitar. During its three minutes it’s difficult to ascertain what Pop Singles supposes is the greatest feeling. “It’s getting harder to relate to anyone but you,” the song concludes, hinting at belonging being their most important emotional tenet, yet one of the most difficult to establish or maintain. Slits of brightness filter through ‘Are You Still There?’ and ‘Now and Again’, while ‘Always Away’ feels like a fierce rollick in the aisles of personal fear. ‘Overcast’ opens with a gaze over a vast red desert, before tearing up the dust in a pummel of percussion. It’s a two-gear track that shifts from this Australian Cowboy twinkle to a powering chorus. And it’s simple, really: jangle will never go out of fashion if it’s done this well. The magic of All Gone is in the freeness of the lyrics and how they intersect with the instruments. These are rhymes that fit so oddly in place; words slide in and out of each other, the tails of sentences slotting into a guitar uprisal. Vocals, bass and guitar work in tandem to slot together at new angles, wistfulness informing wistfulness. “All my life I’ve been looking for something… but no one knows that I don’t trust them”: side one, track one covers it. All Gone is a record of desire for closeness in a world of closed shells. In its strands of unachieved dreams, of hopefulness and hopelessness, this is a confident debut touching on timeless and borderless themes. and then when I searched google images I found is actually the Text Classics you mention!